Geno is sick and Death comes and takes care of him. Cover picture belongs to me. Chapter 9: Another Broken Mind? But when things change for a turn, our heroes have to venture through the dark and light, to help cease the war that will destroy everyone. Death was a Reaper. Geno, a half-dead glitch that was supposed to be killed years ago. Their roles are what pulled them together and now they hold an unbreakable bond. But will Reaper resist the thought of wanting to fondle with the opposite? Or will he keep his hands to himself and Save Geno's life? Either way, this was going to be one hectic relationship. Warning: There will be angst toward the end of the book. Geno had one thing on him mind before death, papyrus. He wants to make sure papyrus is okay, his friends are okay. He wants to end the suffering that everyone in his world endured because of a RESET that keeps putting them back in time. Death had always hated his job, it's not fun nor is it something he wishes to do. But it's not his choice, he must do what he was made for, without hesitation. A home to Fluff. Just kidding. Welcome to the train of feels, care to take a ride? Geno is a King of a small kingdom along with Error and Fresh. The brothers Kingdom is dying so Geno suggests merging their land with another's. But in order to do so, one must marry another King. Will Reaper be able to win Geno's heart or will someone else? A city was cursed By a witch For every child to be cursed to have fangs as sharp as daggers and have a never ending thirst for the blood of those who are normal. Geno was born in that city and is one of the few remains of those children he bore what is known as the crimson curse and is wanted by thousands to have his head on a stake For the murders of those hes killed. Reaper A assigned hit man to track down those remaining to have the curse  Never has Reaper Let a victim go until now. 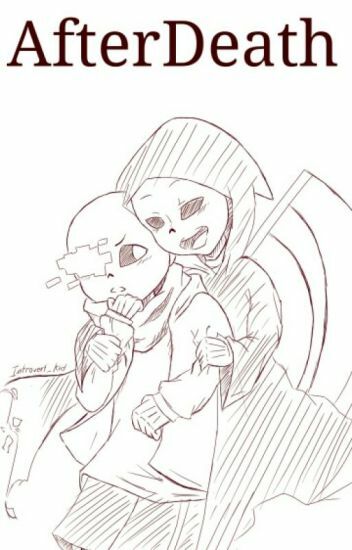 The twos Paths collide will Reaper  Spare the Young Cursed skeleton Or will he fall In love and spiral In memory's that have  since then  forgotten. Geno had been in the save screen for a while, now feeling bored of watching the resets over and OVER again. What happen if a person named Reaper came to Geno life? Will Geno be just friends with Reaper or more? Or will Geno hate Reaper? Death can't hide his sadistic love from Geno. And Geno's denial makes it all that much better. But Chara threatens to heal the sick reaper in the worse way imaginable. These are mainly some small ideas I like to write down when I'm bored and sometimes I take requests, enjoy!